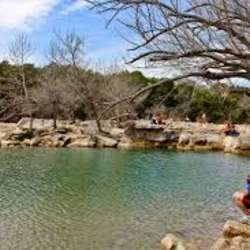 Let's hike together at Barton Creek Greenbelt. The goal is to hike to Sculpture Falls and enjoy the view! This hike is designed for EVERYONE, no previous experience required. We will go with the easy pace. Take water bottle with you and dress appropriately for hiking - closed shoes, loose pants/shorts, t-shirt, jacket (if needed), etc. Let's meet at the entrance at 10.50am, let's plan to start at 11am. You can park by both sides by the Frontage Road. Check back here for weather updates. I will post if we need to cancel due to weather.